Usually the width of the panoramic windows is much more than their height. Their main objective is providing wonderful views of the surrounding landscape. Thus, if the view from your window is pleasing to the eye, it is necessary to consider the installation of these glass constructions. In addition, the exterior of the house will be exquisite and unusual. Many customers think that such a huge massive of glass will be fragile and unreliable, however, in the manufacture of the panoramic Windows the special glass solidly coated with a special film isused. These Windows are also able to provide a decent level of protection against noise. Panoramic windows have also disadvantages. The space of your home becomes much more accessible to prying eyes that may cause significant discomfort, especially on the first floor. However, when using tinted glass, view inside the house can be completely protected. The biggest drawback of large format glazing is its high cost associated not only with the costs of production, but also with the installation. 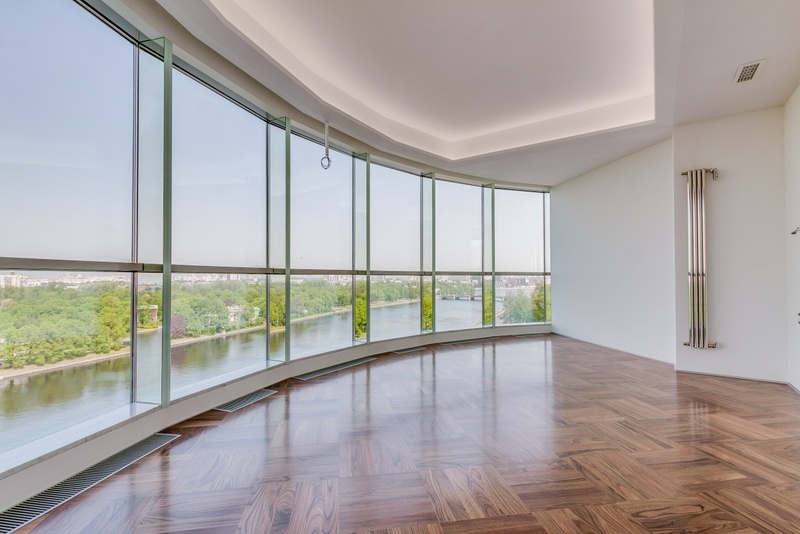 Installation of panoramic windows in hot climates is possible only on the shady side, because otherwise the room will be too hot and the furniture in the room will fade.